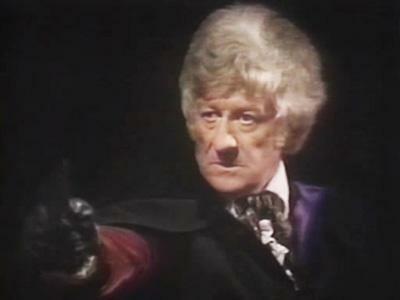 Counting down the 11 3 days to the 50th anniversary, here are my top 11 stories for each Doctor, continuing with 3 (Jon Pertwee). The serious Doctor with the fine hair and the Venusian akido ju-jitsu karate whatever. 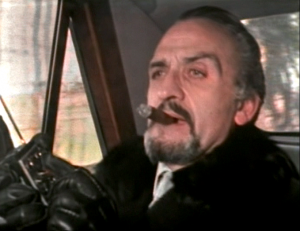 He liked gadgets and cars and was the James Bondiest of the Doctors. Liz Shaw: What are you a doctor *of*, by the way? Doctor Who: Practically everything, my dear. 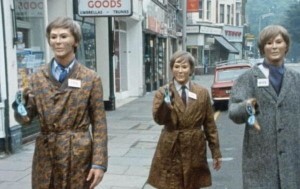 The newly regenerated Doctor arrives on Earth to begin his exile. 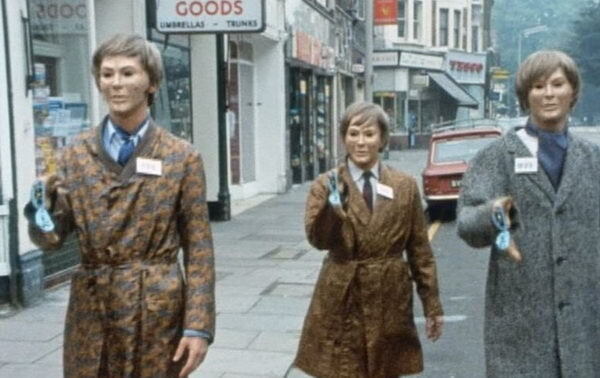 The TARDIS will not function, and he soon is involved with UNIT and Brigadier Lethbridge-Stewart and his new assistant, Liz Shaw, in stopping an invasion by the Nestene and their army of plastic Autons. Brigadier Lethbridge-Stewart: I never thought I’d have to fire in anger at a dratted caterpillar. 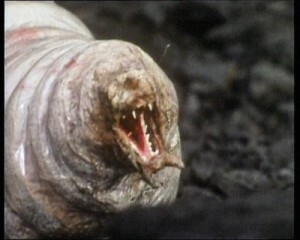 Mysterious deaths at a Welsh mining village bring in the Doctor and Jo Grant along with UNIT to investigate. A group of environmentalists, led by Professor Clifford Jones, is determined to stop the Global Chemicals petroleum factory from putting the miners out of business when giant slugs begin crawling to the surface. Would you kindly stop referring to me as “the creature”, sir. Or I may well become exceedingly hostile! 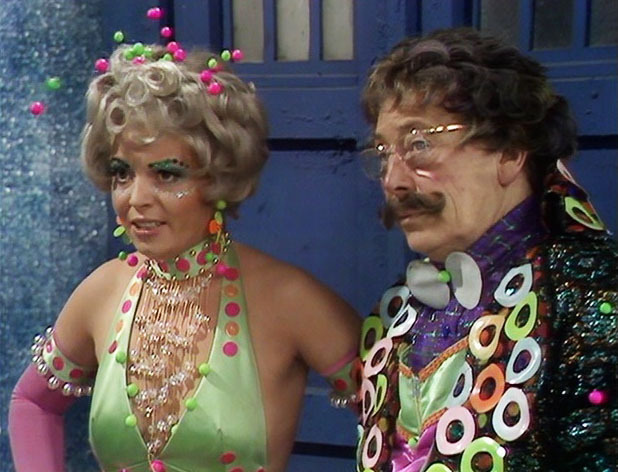 The Doctor and Jo arrive on a cargo ship crossing the Indian Ocean. Soon a monster appears and things start repeating themselves. When a giant hand steals the TARDIS, it becomes apparent that they are stuck in a miniscope–an alien peepshow with different miniaturized environments which showman Vorg and his assistant Virna have brought to entertain the residents of Inter Minor. My dear Miss Shaw, I never report myself anywhere, particularly not forthwith. 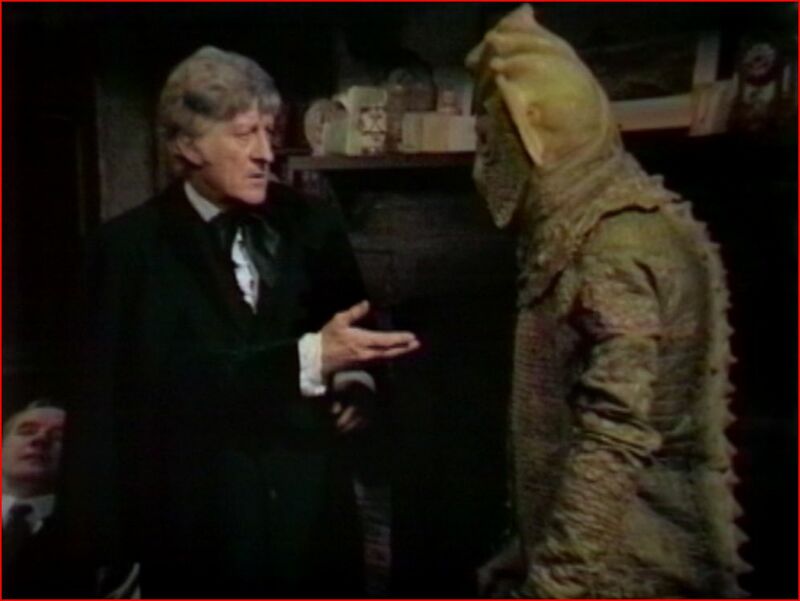 A nuclear research facilities tests have awoken the original inhabitants of Earth–the Silurians. The Doctor and Liz try to prevent a war between the humans and the Silurians, but the military on both sides have different plans. You know Jo, I sometimes think that military intelligence is a contradiction in terms. The Master arrives and signals the Nestene, awakening the plastic Autons, and begins to use them to take over the world. The Doctor and his new assistant, Jo Grant, must stop him. The Doctor: But I don’t exist in your world! Brigade Leader: Then you won’t feel the bullets when we shoot you. An experimental drilling project is designed to penetrate the Earth’s crust and release a previously untapped source of energy. However, the drill head starts to leak an oily, green liquid that transforms those who touch it into vicious primeval creatures with a craving for heat. The Doctor is accidentally transported by the partially repaired TARDIS control console into a parallel universe where the drilling project is at a more advanced stage. 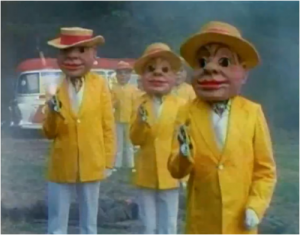 There, he meets the evil twins of the Brigadier and Liz who attempt to stop him as he works to save both universes. In the Middle Ages, a crashed Sontaran is trying to repair his spaceship by kidnaping scientists from the future and forcing them to help. The Doctor and UNIT investigate and journalist Sarah Jane Smith tags along. I reversed the polarity of the neutron flow. The Doctor and Jo visit the Master in a high security prison on an island off the coast of England. 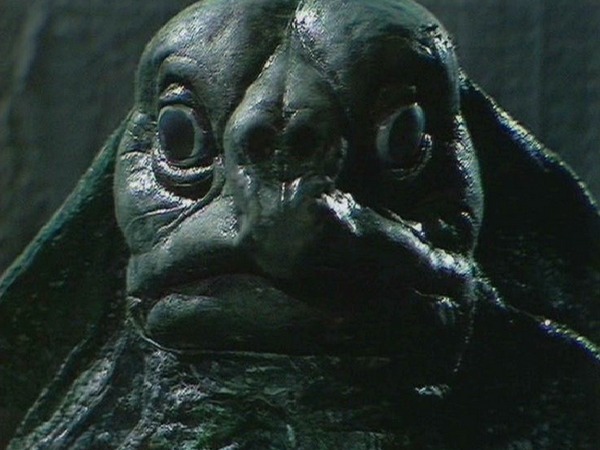 While there, they learn of mysterious ship disappearances, and the Doctor cannot resist investigating. First Doctor: [As he appears on the TARDIS’s television screen] Ah, there you are! I seem to be stuck up here. [He examines the Second and Third Doctors.] So you’re my replacements. [They smile at him.] Humph. A dandy and a clown. [They appear insulted.] Have you done anything? 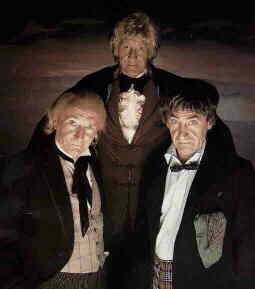 The first multi-Doctor story came during the 10th season of the show, and it featured the return of both Patrick Troughton and William Hartnell. Hartnell was very sick and near the end of his life, but he was determined to participate. He was inserted into the story via TV monitor, as his Doctor was trapped. 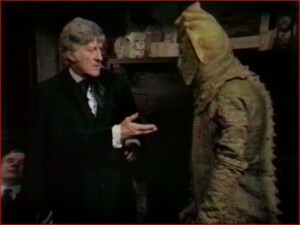 The story involves Omega, one of the greatest Time Lords and the engineer of their ability to travel in time. While using the Hand of Omega, a stellar manipulator that could make stars go supernova, he vanished into a resulting black hole and into an anti-matter universe. The pocket of normal matter in which he resides only exists via the force of his will, and he wants to force the Doctor to take his place. People who talk about infallibility are usually on very shaky grounds. The Doctor and Jo investigate a new machine that has been invented for humanely dealing with prisoners. Instead of execution, they have their evil tendencies sucked out and stored in the machine. The resulting man is quiet, compliant, and knows no evil. The Master decides to use the machine for his nefarious purposes, but the machine has a will of its own. 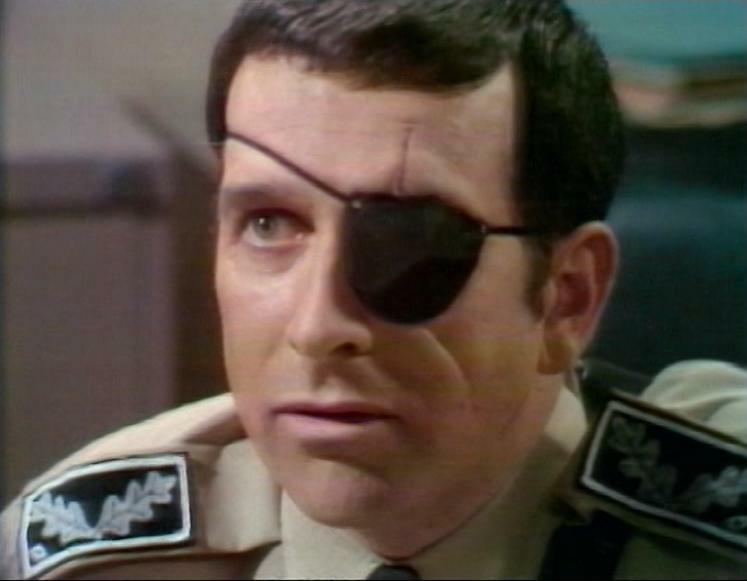 Brigadier Lethbridge-Stewart: Jenkins…chap with wings there, five rounds, rapid! The Master, disguised as a rural vicar, summons a winged demon to terrorize the village.